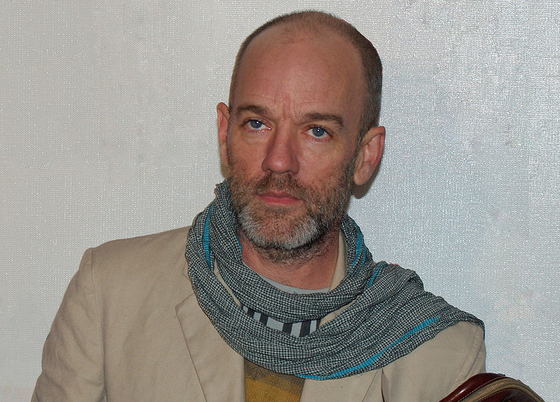 Michael Stipe’s tenure as frontman and lyricist for R.E.M. certainly revealed a literate mind. A former art major at the University of Georgia and current art teacher at NYU, his best lyrics scan well as poetry. One can imagine being invited over for a dinner party to Mr. Stipe’s place, and, glass of wine in hand, absolutely having to nose through his bookshelf. What does the writer of “Nightswimming” read? With the historical references that course through those early albums, would he have socio-political books about America? Would he pull a book off the shelf and say, here, "You have to read this. It will change your life"? Some of these are classics—for example Kerouac's On the Road , which Stipe calls “my band’s template”—and the one poet on the list, Rimbaud, is very much an early influence on his writing. Dhalgren was also a favorite of David Bowie’s, who based a lot of Diamond Dogs on the novel. The Copeland and Didion choices stand out, mostly by being less obvious selections from their bibliographies. And as he says that he’s currently reading the Patti Smith book (now being turned into a series on Showtime), we can’t take the selection too seriously. Maybe he just wants to take it to the desert island to finish it. Stipe has included a few sentences on each book to explain his choices. Find them here. François Sagan, really? And no Shakespeare? But these are quibbles. The most important book that’s missing is: “How to Survive While Marooned on a Desert Island”! No surprise that Mr. Stipe is extremely literate, just listen to his lyrics. He is a musical genius who along with his band mates created an entirely new genre of music that will always stand the test of time. I will pardon Mr. Stipe for not putting “The Catcher In The Rye” in his top ten. Oh, and when is Mike going to take time away from teaching at N.Y.U. to record a solo album of music. It would be a shame if he just stopped making music, someone of this caliber of talent. Waiting, and hoping.